Adventurenpark Hellendoorn switched out the Zierer Flitzer for a brand new custom Vekoma Roller Skater in 1996. It recycled the building and went outside to make the experience a longer one. 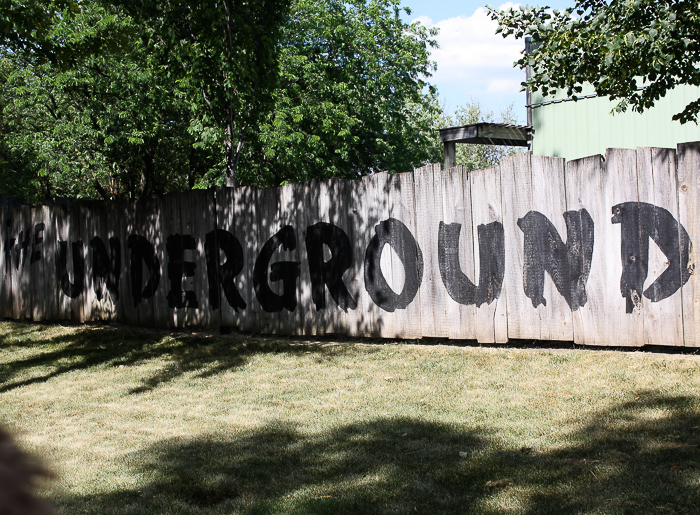 To fit the “Sewer Rat” theme, custom rat trains were manufactured and designed by Vekoma. Thorpe Park (Chertsey, United Kingdom) started its transformation in 1996 by introducing a very strange Vekoma concept: X:\ No Way Out. This attraction is housed inside a brown pyramid and was the first enclosed backward coaster in the world. The theme was a trip inside a computer virus and the waiting line inside was very long. Once riders boarded the trains, the trip rolls backward up the ride lone 43 feet tall lift hill. The train drops down and spirals around the pyramid before rising into the first block brake. The train is stopped and misters originally sprayed water on riders as sound effects went off. Then, the train is driven out and soon stops again in the second brake area. More sound effects accompany our short stop and the train is again sent backward into a few more turns. The final brake run is even stranger, as originally various effects went off and the ride pusher tires programmed to move the train forward and backward. What happens next? The train rolls backward, goes over a small dip and… rolls into the unload station. The ride never found its public, as its tame nature would have been well suited to a family audience. Unfortunately, the ride 55 inches (1.40 meter) height restriction meant that kids under 8-9 could not ride. In 2013, Thorpe Park finally gave the ride the makeover it had been in needs of. 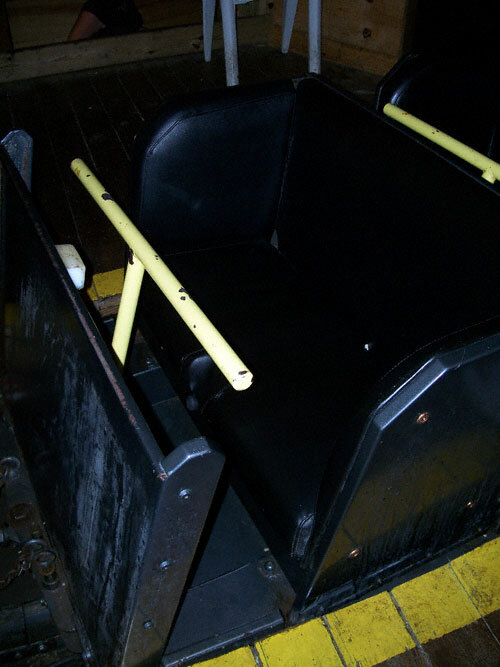 The trains were modified by Vekoma to have individual restraints and to go forward. This in turn solved the height restriction issue by dropping it down to 39 inches (1 meter) and gave the ride a new lease on life. The waiting line received new X neon lights to fit the ride new simple name: X. The ride experience is now more of a rave with lights, lasers and a pounding techno soundtrack. Adventureland near Altoona, Iowa opened a brand new wooden coaster in 1996. Why is it in this article? Because this Custom Coasters International (CCI) creation is indoor. CCI built a tame layout inside a warehouse and then installed a dark ride around it. The ride train was custom designed and built by CCI for the attraction and the ride track and lifts are similar to standard wooden roller coaster. The ride features no steep drops, but small dips provide a different dark ride experience. 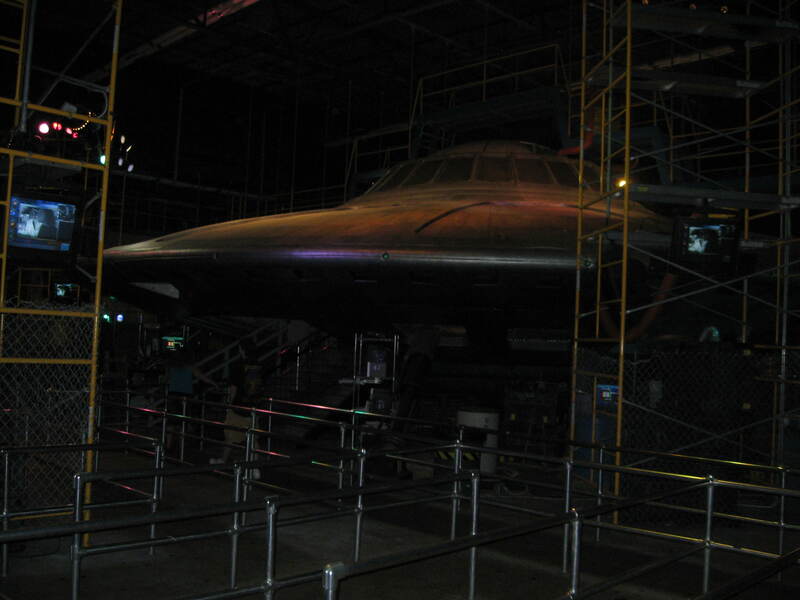 It is also one of the world’s only gravity driven dark ride. 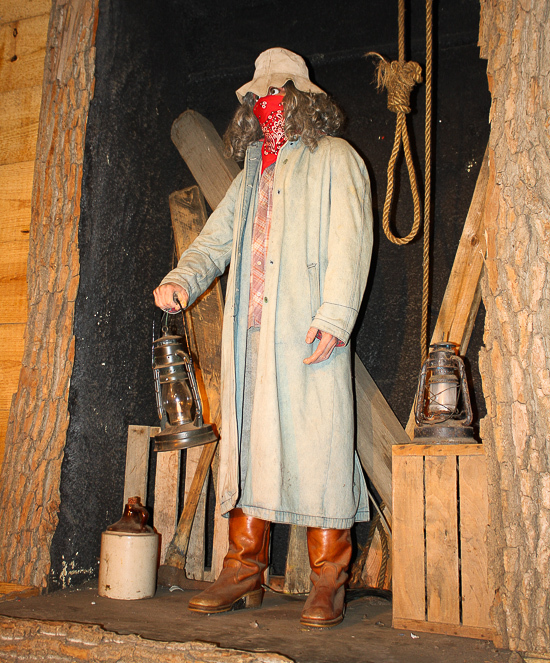 The ride preshow features this character, who explains the story. The Outer Limits were a popular 1963 TV show that featured one of the most unique introduction: a wave would oscillate on the screen and a disembodied voice would explain that “they” have taken control of the television. After the show concluded, the same voice would tell us that they are returning control to us. The emphasis were on pure science-fiction stories and during its short 49 episodes run, it developed quite a following. In 1995, the show was revived and that is when Paramount decided to use the legendary license for attractions in their parks. Paramount selected Kings Dominion (Doswell, VA) and Kings Island (Mason, OH) to receive for the 1996 ground breaking attractions: the world’s first Linear Induction Motor (LIM) launched roller coaster. We will soon feature Premier Rides, the ride’s manufacturer, in their own serie and we will discuss the technical aspects of the rides at that time. The Outer Limit: Flight of Fear is housed in two large buildings connected by the launch/brake tunnel. The waiting line and stations are housed in the smaller building and the tunnel has the LIM launch area, the ride final braking block and transfer track. The “Gravity Building” where the ride mostly takes place is a tall 8 sided building that is self-supported. Kings Island gravity building. You can see the lower launch tunnel to the left. 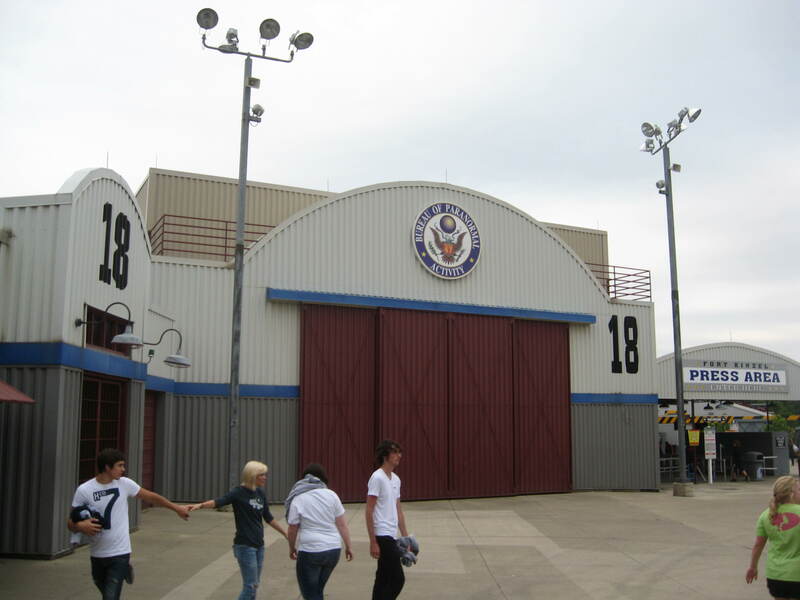 The storyline is that we are invited to visit Hangar 18 of the Paranormal Bureau of Investigation. 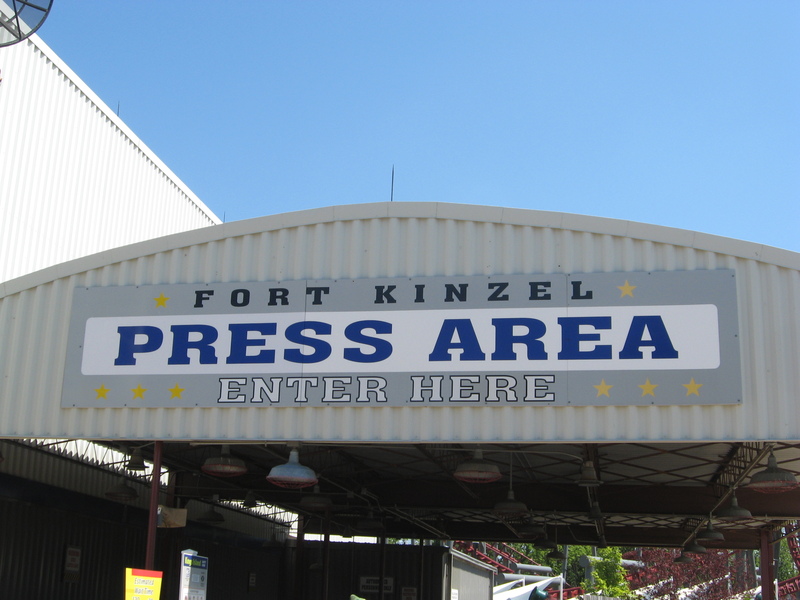 We are ushered to the side into the “Press Area” of Fort Cooper (originally named after the then CEO of Paramount Parks, Jane Cooper). 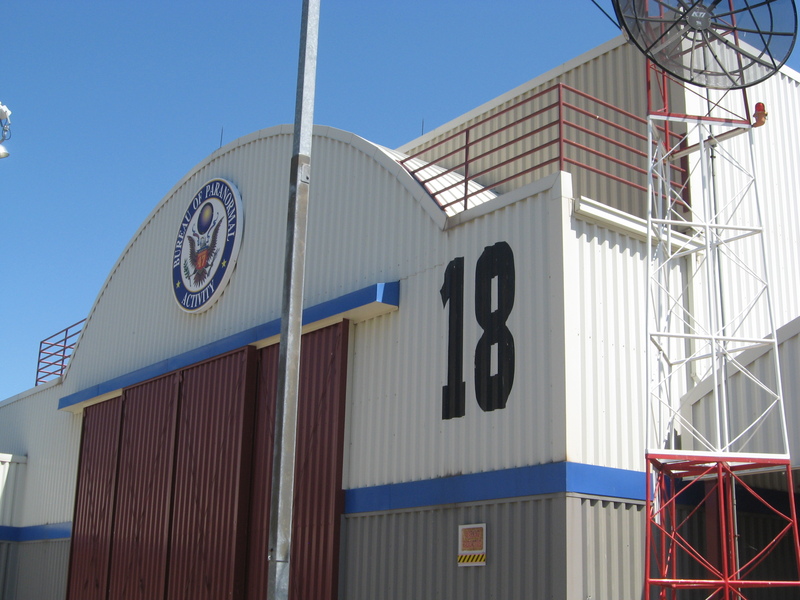 We go downhill and enter Hangar 18 where we realize that we are looking at a UFO. A video plays that explained that the Flying Saucer was recovered near the park and since most of the staff believes it is a hoax, we are invited to visit it. The line meanders around the hangar, eventually passing by an “accidental” crack in the wall where we could see dead aliens. The ride main entrance. Notice that the ride name is absent: this is a trait shared with Disney and Universal attractions. That hangar is a clever movie making illusion. The saucer and room appears to be full sized, but only half was built. Mirrors are integrated into the walls, thus making it appears to be the full deal. We eventually reach the flying saucer and we realize it is empty. We then make a left and reach the loading station. It appears to be some sort of alien hangar and there are people in glass tubes stuck inside silver bags. The ride dispatch console is on a raised pedestal, looking like a overseeing or guard station One of the ride train’s silently rolls into the station and it is… empty. The trains were designed to be rockets with molded exhaust ports and panels. Once the train is checked and ready to go, the lights would flicker in the station and then you would hear a loud whining. Those are the LIM energizing and then launching the train down the launch tunnel. 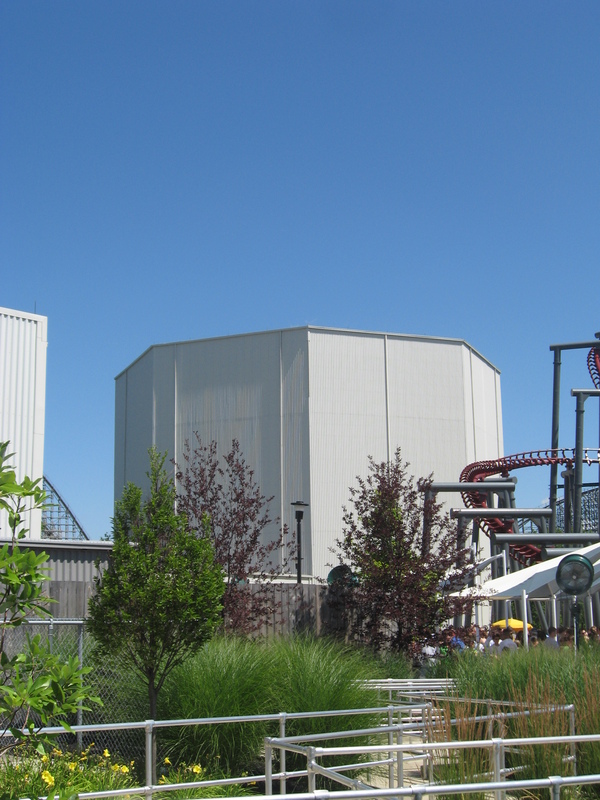 Once inside the Gravity Building, you would hear the ride soundtrack, composed specially for both attractions. A spectacular light show is also installed in the building and creates a great feeling of speed. After a minute, the train returns to the unload station where we unload and leave Hangar 18. In 2001, the ride lost the Outer Limit license and was renamed simply to “Flight of Fear”. By that time, the launch light show in the station had stopped and the trains were refurbed. Premier Rides removed the large shoulder bars and redesigned the seats to receive brand new lap bar restraints. This made the ride a lot more comfortable and gave immense popularity, even beyond opening year waiting lines. This entry was posted in Coasters and tagged enclosed coasters, flight of fear, kings dominion, Kings Island, Premier Rides, Thorpe Park, Vekoma. Bookmark the permalink. In french: Thé outer limits? Se traduisait en: Au-delà du réel. Emission diffusée le samedi soir après la soirée du hockey et le téléjournal. Les premières notes indiquant le début de l’émission donnaient des frissons…que dire de la suite qui provoquaient des cauchemars a plusieurs dont moi, la première.